Counter-terror police have arrested four men on suspicion of being members of a banned organisation hours after they flew into the country. 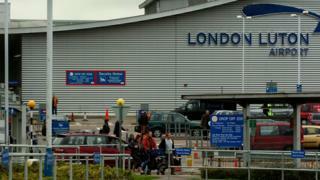 The four Sri Lankan nationals arrived at Luton Airport on 10 April and were arrested by police the next day. The Metropolitan Police said the men were stopped under the Terrorism Act 2000 and arrested under the Police and Criminal Evidence Act 1984. Membership of a proscribed organisation is contrary to section 11 of the Terrorism Act 2000.